Self-Management&mdash;So Important for School Success! 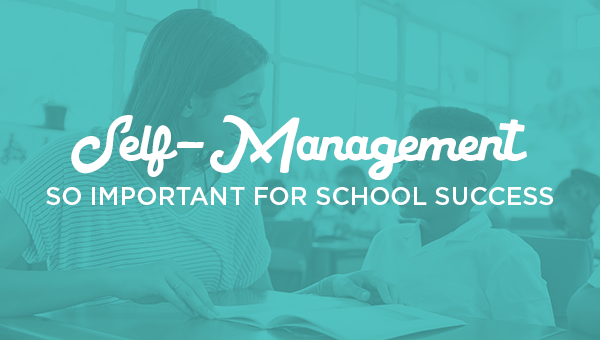 Self-Management—So Important for School Success! Do any of these instructions sound familiar? “Finish your work before you choose a center.” “Stop talking.” “Walk on the blue line.” “Wait, it’s not your turn.” “Keep your hands to yourself.” Many of our instructions are about self-control. Self-management skills can be supported and fun at the same time. Check out a few of the ReadyRosie Modeled Moments that encourage self-management. In the article, Three Strategies for Teaching Children Self-Control, Angela Duckworth at the University of Pennsylvania suggests three strategies to support self-control: Change the Situation, Change Their Thinking, and Change Their Response. Each strategy is simple and easy to teach. Change the Situation can be as simple as teaching a child to sit away from a sibling (or friend) to avoid the temptation of pestering or talking. Change Their Thinking involves making children aware of how they interpret different situations. A visual reminder of morning routines will help children stay focused on what they are to do. Break a big project or task down into smaller pieces to help a student see that the assignment is manageable.